Don’t miss King of the Cage and their arsenal of kicks, punches, knees, submissions and knock outs at Cobo Arena on Friday, April 16 at 7:00 p.m.
Fighting in the main event is three time Division 1 National Champion wrestler, Cheap MLB Jerseys Jake Rosholt, who will be taking on the savvy veteran, Jeremy Horn. Horn holds wins over UFC stars, Forrest Griffin, Chuck Liddell, Chael Sonnen, and a decision loss to Anderson Silva after going the distance. Another anticipated match-up is former Boxing Heavyweight World Champion and Olympic Gold Medalist, Ray Mercer. After Mercer’s devastating nine second knockout win over former UFC World Champion, Tim Silvia, he will be taking on the undefeated Ron Sparks out of Louisville, KY.
Additional card highlights include the Canadian international superstar, Joe Doerksen, taking on hard hitting Chad Herrick. David Shepherd, from Michigan, will be looking to defend his title against the hometown Detroit favorite, Dom O’Grady. Bobby Green, from Riverside, CA, will be defending his 160 pound World Title against undefeated Daron Cruikshank from Detroit, Michigan. Tickets ($28, $43, $58 and $103) go on sale Friday, March 12 at 10:00 a.m. and may be purchased at OlympiaEntertainment.com, the Joe Louis Arena and Fox Theatre box offices, Hockeytown Authentics in Troy (without service charge) at all Ticketmaster locations and Ticketmaster.com. To charge tickets by phone, call (800) 745-3000. For additional information, call (313) 471-6611. Please note that Cobo Arena box office is only open day of show. 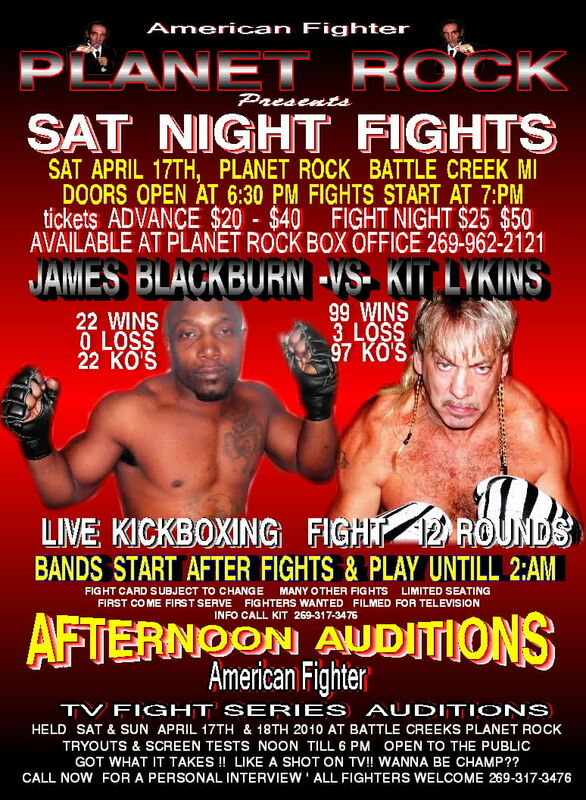 As mentioned in the previous post, Kit Lykins is promoting a show at the Planet Rock bar in Battle Creek Michigan Saturday night, and is also having auditions for the 16-episode reality TV series, American Fighter, on Saturday and on Sunday from noon until 6pm both days at Planet Rock. Check out that post for more information, and head out to Planet Rock for your chance at becoming a Reality TV star! Doors open at 6pm, and that’s all the information I could get. I wish I could find a poster or a facebook event (hint, hint). 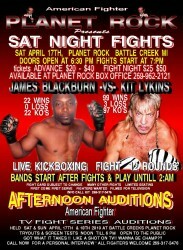 Also on Saturday night, Michigan Fighting Challenge is holding their 8th event in Monroe, MI. Winners of this event will qualify for the championships held at The Monroe County Fair! 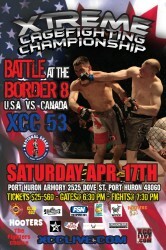 XCC returns to Port Huron this weekend with Battle at the Border 8, U.S.A. vs. Canada. Located at the Port Huron armory – 2525 Dove St., Port Huron, MI 48060. Tickets are $25-$60. Gates open at 6:30 pm, Fights start at 7:30 pm. 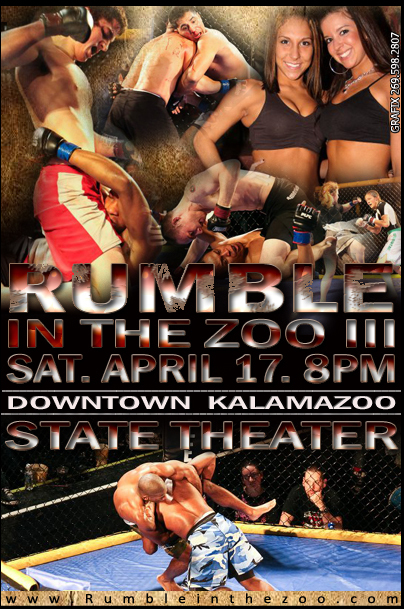 And last, but CERTAINLY not least, Rumble in the Zoo Returns to Kalamazoo with Rumble in the Zoo 3. The first 200 people in the doors at 7pm will be greeted by MMA Legend Jeremy Horn! And, FightMichigan will be there, so, stop and say hi! 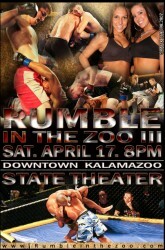 Kalamazoo’s own world-class nfl jerseys cheap live mixed martial arts (MMA) event! don’t be fooled by imitations! Tickets are on cheap oakleys sunglasses sale at the box office or on Ticketmaster. During the weekend of April 9th, the Box office will be open all weekend from 3 pm to 9 pm. Normal business hours are 10 am to 6 pm. Ticket office phone number is 269-345-6500. The Kalamazoo State Theatre is a 1500 seat Distribuitori Concert venue originally built in 1927, in Downtown Kalamazoo. It is located right at the end of the Kalamazoo Mall Drive, across the street from the Kalamazoo Gazette Building and three blocks from the Radisson. There is free parking in several areas around the theatre on the weekends. The State Theater is at 406 S. Burdick St. in Kalamazoo, MI. Tagged American Fighter, King of the Cage, Kit Lykins, Michigan Fighting Challenge, MMA Outlaw Promotions, Rumble in the Zoo, XCC 53. Bookmark the permalink. How can I get info of upcoming fights? 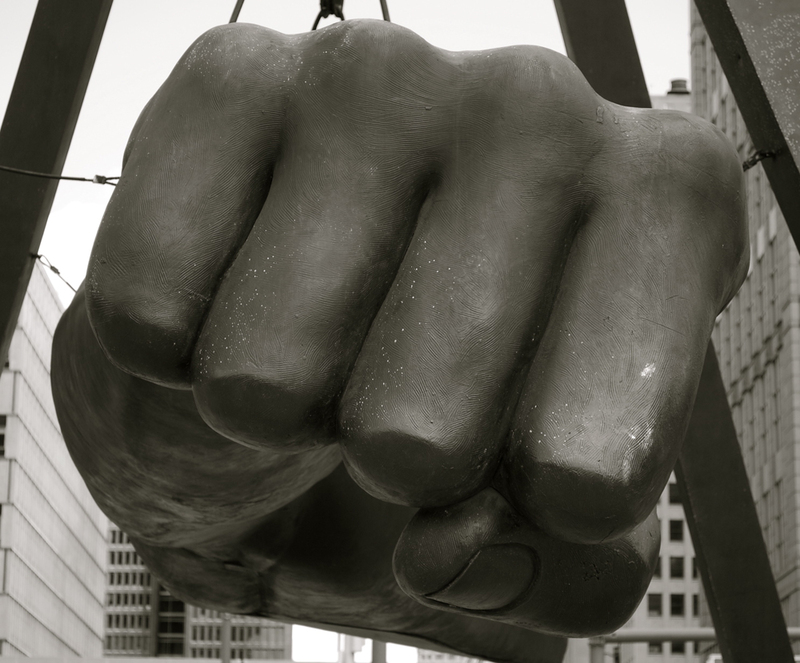 We got rid of our “This Week in Michigan MMA” articles a while back, now we have all of the known events on our “Upcoming Events” page; the link is at the top of the page^. Enjoy!